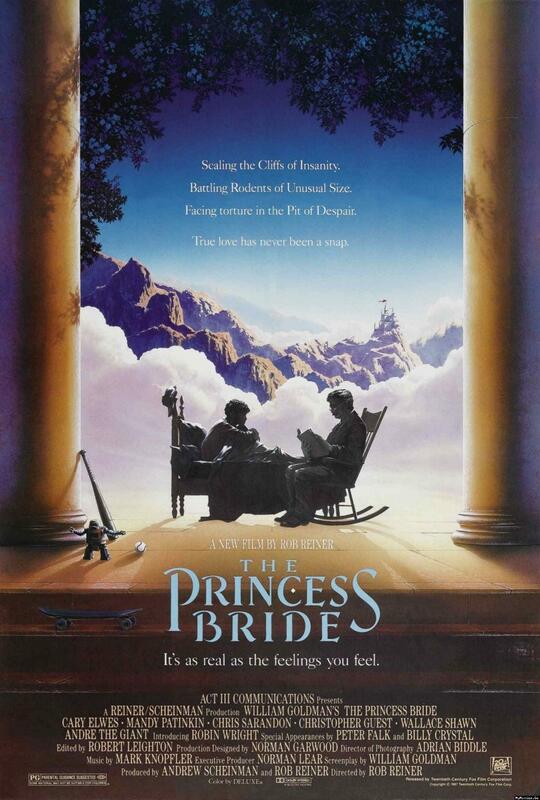 What It’s About: Girl (Robin Wright, Beowulf) meets boy (Cary Elwes, Saw), girl loses boy, girl becomes princess bride, girl gets kidnapped, hilarity and adventure ensue. Why Watch it Today? : Professional wrestler André the Giant, who plays the brave Fezzik, passed away on this date in 1993. Where to Get It: Netflix (Rental Only), iTunes and Amazon Instant Video, or your local library. Other Choices: You could also celebrate the opening of the Brattle Theatre in Cambridge, Massachusetts, with a screening of Casablanca. This entry was posted in Adaptation, Adventure, Based on a Book, Comedy, Fantasy, Movie of the Day, Period Film, Revenge, Romance, Swashbuckler and tagged André the Giant, Billy Crystal, Carol Kane, Cary Elwes, Chris Sarandon, Christopher Guest, Fred Savage, Mandy Patinkin, Mark Knopfler, Norman Lear, Peter Falk, Rob Reiner, Robin Wright, Wallace Shawn, William Goldman. Wow. Edward is right, that is one terrible trailer! peter falk, saying “as you wish” is the emotional high point of this movie? I don’t care how it makes me seem. I can’t think of this movie, even the badness of its trailer, without smiling.